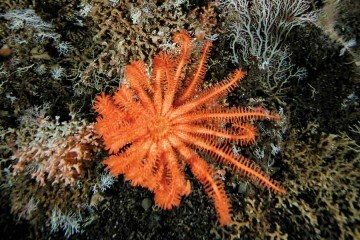 The Flinders Commonwealth Marine Reserve (CMR) east of Tasmania’s Cape Barren Island stretches some 600 kilometres and covers an area of 27,000 km2. Temperate reef systems in the CMR support many mobile and commercially-important species, but little has been known about biological communities beyond depths accessible to divers (below 25 m). 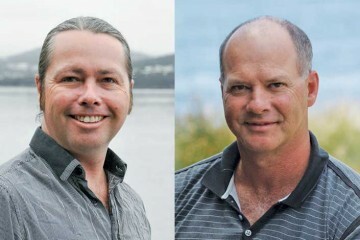 This project trialled cost-effective survey techniques in the Flinders CMR, based on a novel application of a Generalised Random-Tessellation Stratified (GRTS) design (see story Applying spatially balanced survey designs to monitor indicators in Commonwealth marine reserves). It quantified and documented habitats and communities, mapped an important canyon head feature, and launched a new, deep water Baited Remote Underwater Video (BRUV) system. 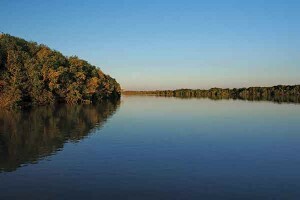 The survey approach will facilitate biodiversity baseline inventories, monitoring, and performance comparisons across Australia’s CMR network. A flexible, two-phase survey design was implemented for the area of the Flinders CMR confined to the shelf. Phase one of the GRTS survey used a drop camera to characterise the seabed habitat at 40 sites. In phase two, further habitat and biological samples were obtained from 12 of these sites using high-resolution multibeam sonar, towed stereo video and shallow BRUV systems. 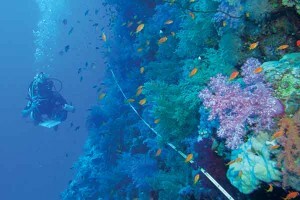 Locations identified (during Phase 1) as low-profile reef supporting rich fish and invertebrate communities were preferentially sampled in this process. As a comparison to the GRTS-based approach, an area of approximately 30 km2 – within which shelf-incising canyon heads were known to be located – was continuously mapped using a high-resolution multibeam sonar. 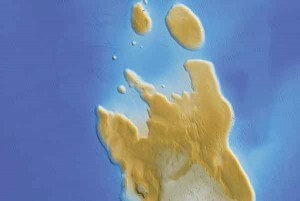 This mapping confirmed the presence of several low-profile reefs, some of which may be relict coastline features. 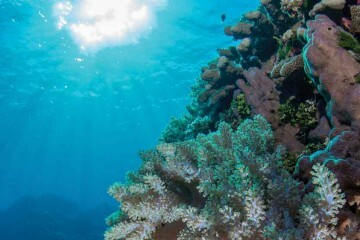 Autonomous underwater vehicles were used to obtain further samples of habitats, fish and invertebrate communities on these reefs without the need for invasive sampling. In a first for Australian researchers, the survey team also deployed and retrieved three deep BRUV systems in water depths exceeding 500m on the slope of the Flinders continental shelf. This project showed that cost-effective, quantitative baseline estimates of demersal habitat types and associated invertebrate communities can be developed for the shelf and upper slope regions of temperate CMRs (in this case Flinders CMR). Demersal fish communities in shelf regions can also be inventoried and characterised. Diverse reef systems revealed during the survey include steep, canyon-head structures with underwater cliffs, flat sedimentary rocks, and sandstone and mudstone stacks with ledges sheltering invertebrates such as commercially important rock lobsters and fishes. Different seabed features such as low profile, often sand-inundated reefs, and step features and canyon heads, had quite different assemblages, showing that further sampling is needed to fully understand the diversity of the Flinders CMR shelf. 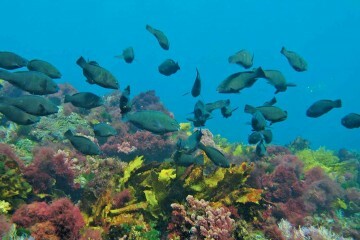 Ultimately, complete multibeam mapping with representative biological sampling is needed to fully inventory the extent and types of habitat and the cover of key benthic species, but the GRTS approach provides a statistically valid interim baseline to improve knowledge and understanding of conservation values in the Flinders CMR. The survey approach used in this project was designed to meet the statistical requirements for establishing a long-term monitoring baseline. It aims to do this cost-effectively by maximising the information obtainable from a time-limited survey, and providing a statistically coherent process for incorporating information collected in future surveys. Seabed features and associated fauna are sampled in a way that enables their abundance throughout the CMR to be quantified, features of interest to be targeted, and biodiversity estimates improved. 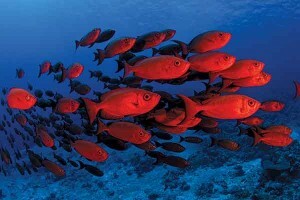 This represents a significant advance on typical deep-water surveys. 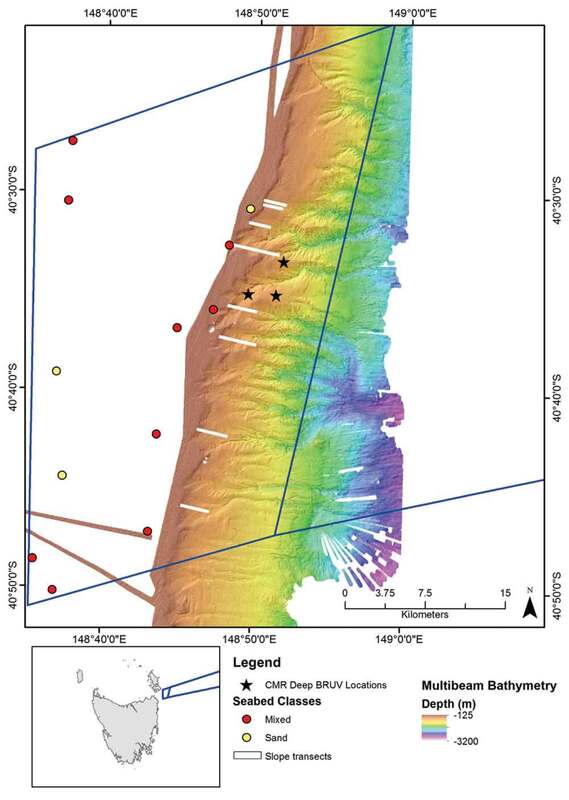 A previously unknown cluster of mixed reef habitat was identified in the north-western corner of the Flinders CMR shelf (now a candidate for subsequent continuous multibeam sonar). It has provided a basis for identifying candidate indicator species that can be monitored for evidence of change. The survey provided the first in-field experience with deep BRUVs and identified ways to improve equipment design and data analysis. 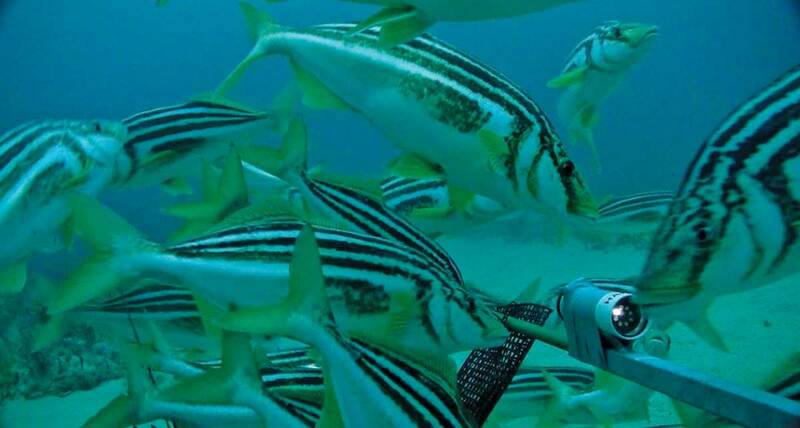 With future hardware development, deep BRUVs have good potential for monitoring deep seabed ecosystems, and can be cost-effective because they can be deployed and retrieved by passing fishing vessels. 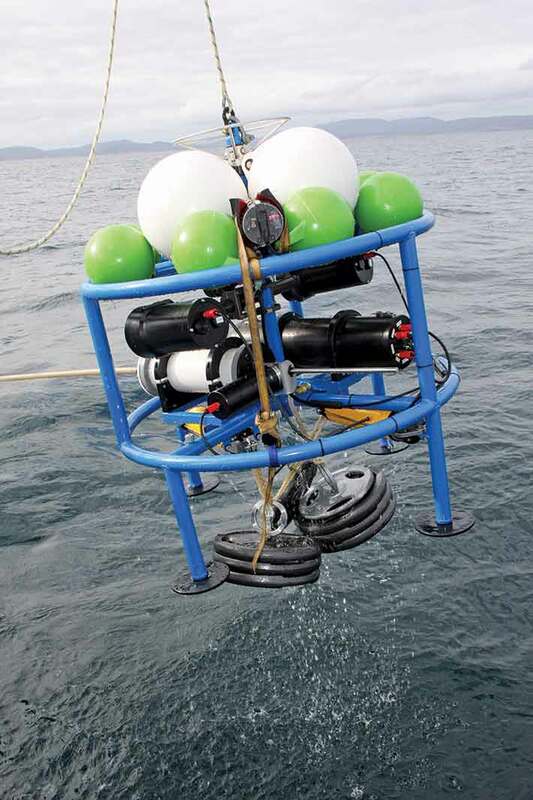 This project trialled a combination of techniques for long-term monitoring that are cost-effective, non-extractive, flexible, have a high power for extrapolation, and are transportable to the deep ocean (a large portion of CMRs). 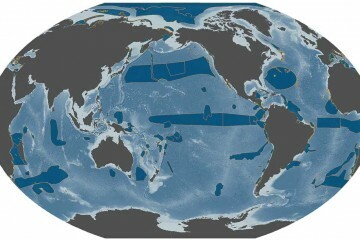 The techniques were used to produce quantitative estimates and high-resolution maps of reef systems and associated diversity across the Flinders shelf. Quantitative baseline estimates and a comprehensive inventory of potential targets for sustained CMR monitoring strategy were demonstrated, (contingent on CMR operational objectives), providing valuable learning experiences that will improve the cost-effectiveness of future surveys. Standardised statistical survey design and methods are essential for establishing trends in key indicators within a CMR, and for cross-comparison between CMRs. These comparisons will assist in network management and review, and can be designed to be adaptable to changing survey capacity. The spatially balanced design approach developed for this CMR has subsequently been used for surveys in the Oceanic Shoals, Geographe and Tasman Fracture CMRs. 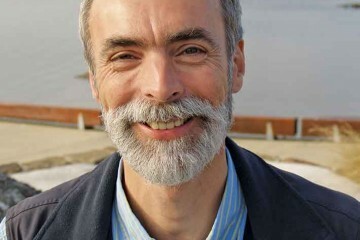 A collaborative approach that pooled the expertise and capacity of diverse research partners was pivotal to the successful application of new and existing sampling techniques within a novel statistical design, and emphasised the value of collaboration. IMAGE: Photographic inventories of deep-water fish communities at 500 m depth were made for the first time in the Flinders CMR using Deep BRUVs: baited, instrumented, camera systems deployed on the seabed. 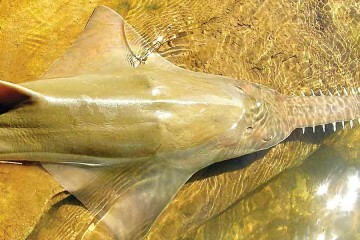 Electronic controls initiate and synchronise the cameras, lights and bait delivery, enabling images to be collected for extended periods (weeks to months). Sensors measure environmental conditions. 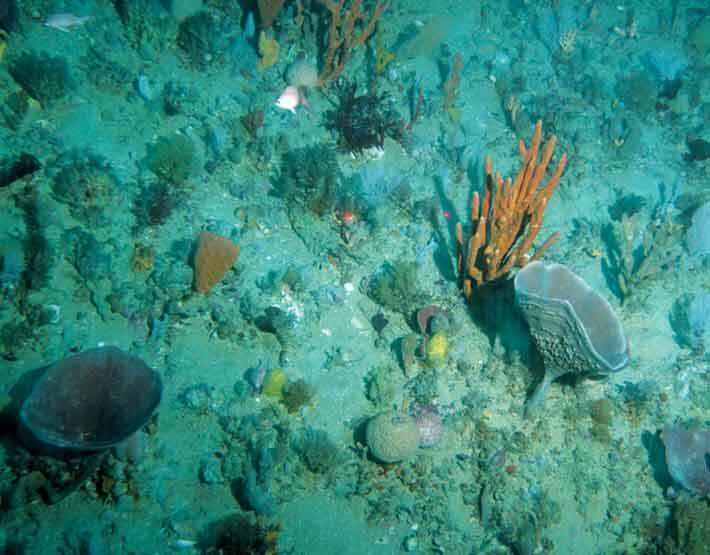 IMAGE: Sponges and bryozoans growing on low-profile reef on the shelf of the Flinders CMR. This image was taken with the CSIRO towed stereo camera system at 38 m depth.